Neon lights and signs have been popular advertising and promotional tools for many years, and it’s pretty easy to see why. Nothing adds that dramatic, eye-catching effect quite like neon lighting. Neon lights and signs have managed to stay relevant for decades, but the technology used to create these mesmerizing lights is now being replaced. Many companies, large and small, are now replacing traditional neon tubes with an innovative light source called LED Neon Flex. This lighting is known for its flexibility, literally and figuratively. 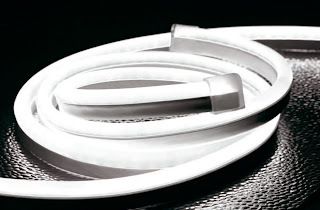 It offers safety, ease, and quality at a lower cost than traditional neon tubing. The flexibility and sleek design of this tubing expand the possibilities for the design of neon lights on buildings, signs, and more. Neon Flex lighting is guaranteed to provide all the drama of traditional neon lights with less hassle and at a more affordable price. LED Neon Flex lights are safer than traditional neon lights, for people and the environment. Traditional tubes contain potentially harmful gases like mercury and neon. They are contained in glass tubes, which always have the risk of breaking. 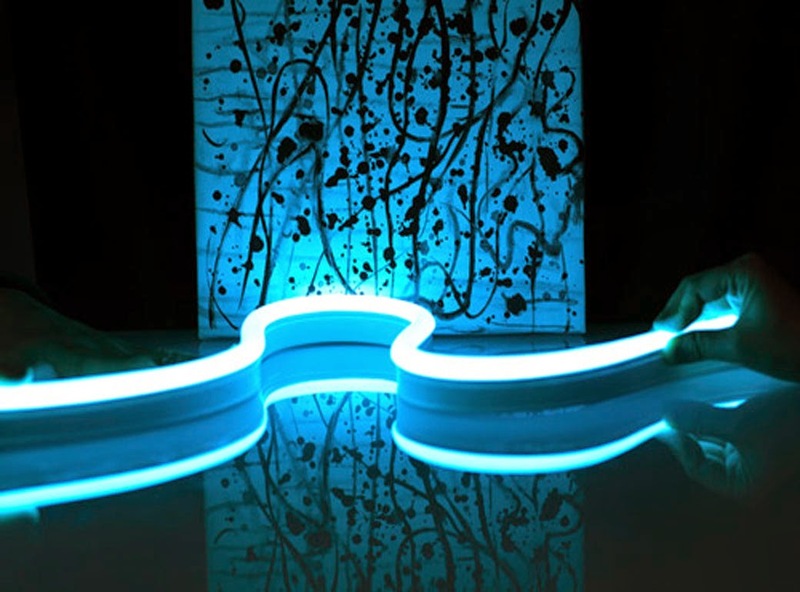 Neon Flex lights are wrapped in a flexible polymer, eliminating the risk of harm due to breakage. These lights are even cool to the touch! Most importantly, these lights do not contain harmful gases. Instead, these lights are created using light emitting diodes (LEDs). Neon Flex lights are easier to work with, install, and are even easier to package and ship. This is because of their sleek, space-saving design. Neon Flex tubes are thinner than traditional tubing, which can allow for more detailed lighting design. And much thanks to the wonders of LED technology, there are even a wider range of animation options. 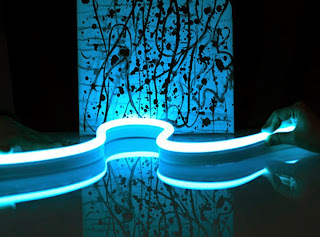 Neon Flex lights are also available in more colors than traditional neon lights. Colors can even be customized or made to change. This neon lighting will shine brighter and clearer, great for ensuring that signs are noticed from afar. And because Neon Flex lighting uses less energy than the traditional neon technology, these lights provide higher quality lighting at a lower cost. These flexible neon lights have the potential to pay for themselves in no time, and there will be no need to worry with maintenance. Because they are virtually maintenance-free, companies are able to eliminate the cost of replacement and/or damage. LED Neon Flex lights will soon replace all traditional glass neon tubing because they shine brighter, clearer, and longer.